Eliza Jane Taylor-Cotter, known professionally as Eliza Taylor, is an Australian actress. 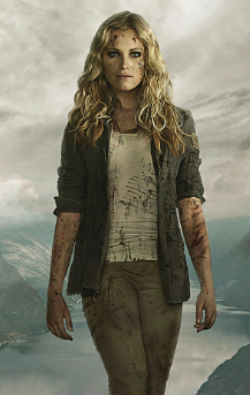 She is best known for her role as Janae Timmins on the Australian soap opera Neighbours (2005–08) and for her main role as Clarke Griffin on The CW series The 100. For her role in The 100, Taylor was nominated for Choice TV Actress: Sci-Fi/Fantasy at the 2016 Teen Choice Awards.